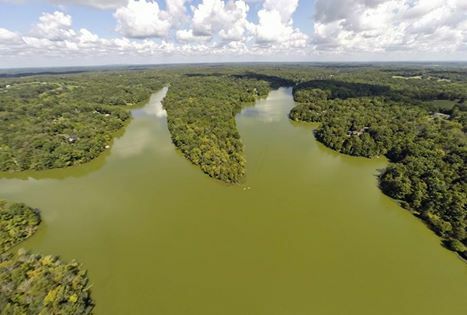 October 21, 2014 -- Qualified buyers will have the opportunity to purchase 85 Acres of land selling in 3 separate tracts, including the beautiful 25 acre peninsula at Beaver Lake in Anderson County, KY with all of the proceeds going directly back to the Kentucky Fish and Wildlife Foundation. Presented by The Logsdon Group and RE/MAX FIRST, the live auction will take place On-Site at the pavilion located adjacent to the Beaver Lake Boat Ramp on Beaver Lake Road in Lawrenceburg, Kentucky. Registration for the event will begin at 11 AM, and the auction will take place at 12:30 PM. This property rests on Beaver Lake and offers abundant wildlife, fishing and recreational opportunities, water frontage, paved county road access, plus valuable timber. The property includes features such as lake views, easy accessibility, boat dock zoning, timber and more. They are individually ideal for residential, recreational and development opportunities. “We are truly honored that The Kentucky Fish and Wildlife Foundation selected us to market this property by utilizing the Auction Process. This is truly a once in a lifetime opportunity for this area and one thing is for certain this property will have a new owner and will be sold to the highest bidder, regardless of price.” said Shaun Logsdon, auctioneer and owner of The Logsdon Group. “We are extremely excited to offer this property to the highest bidder and know that 100% of the proceeds will support the efforts of the Salato Wildlife Education Center, conservation education programs for Kentucky’s youth along with much needed improvements to the grounds, facilities and scholarships at our 3 conservation camps across the state.” said Chad Miles, Executive Director of the Kentucky Fish and Wildlife Foundation. www.BeaverLakeAuction.com or by contacting The Logsdon Group at 502-657-9534.